Owen speaking at yesterday's announcement of a partnership between BT Sport and Setanta Sports. “I think Sir Alex coming out on the pitch on the last day of the season and shouting to the fans, saying it’s your job to get behind this new manager, that will resonate with the fans and really give him a good backing. The club has got such a solid fan base and structure that he’ll get plenty of time to do it right. “He’s such a key player to them that I’m sure they’re desperate to keep him. Himself and Reina are probably the question marks this summer and if they’re going, you’d hope that they’ll find replacements pretty quickly because they can’t afford the same situation as last time when they let Andy Carroll go and didn’t have any replacements. “The key to Liverpool’s season is obviously keeping their best players and adding to them because they can’t afford to lose players of that calibre. I know what Liverpool fans are thinking, that if we have to lose players like Suarez let’s do it now and reinvest the money quickly instead of letting it drag on like last year. They need to add players to what they’ve got, not lose them obviously. It’s hard to say really. Some days you wake up and you really fancy it and the next two or three days you think you would go mad. It’s a lot of stress, it’s a lot of work, if you’re going to do it you can’t go in half-hearted. If I’m going to do something, I want to be good at it. Early on in your career you’re just playing football and that’s all you do. Later on you start wondering why a manager is so good, you start watching what they do, how they coach, all the problems that they face. The more and more you look into that, the more and more you think that’s so full time. Unless I got a real urge to go and throw my life into it then no, but I certainly wouldn’t rule it out. “I own a racing stables and employ a trainer. It’s open to the public, anyone can have a horse with the yard, but I salary a trainer to train my horses. As long as I see the figures every quarter and know that we’re not losing too much then that’s fine, but that business runs itself and when I get a day off, it’s just a bit of pleasure that I can get away from football in many ways and go and watch the horses. Email “Michael Owen on... retirement, Moyes, and Suarez's future at Liverpool”. 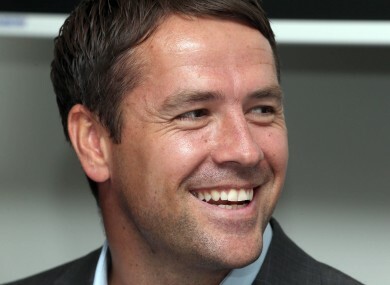 Feedback on “Michael Owen on... retirement, Moyes, and Suarez's future at Liverpool”.